Greetings Ideas for Online Business Podcast listeners! Today your host Rob Booker is here with Episode 80 where he outlines the steps that you will need in order to start a newsletter business. You come up with the content and Rob can guide you with everything else. He explains how to format the letter, run your e-mail list, make your landing page, run your website, price your content and accept payments. Thanks for listening! 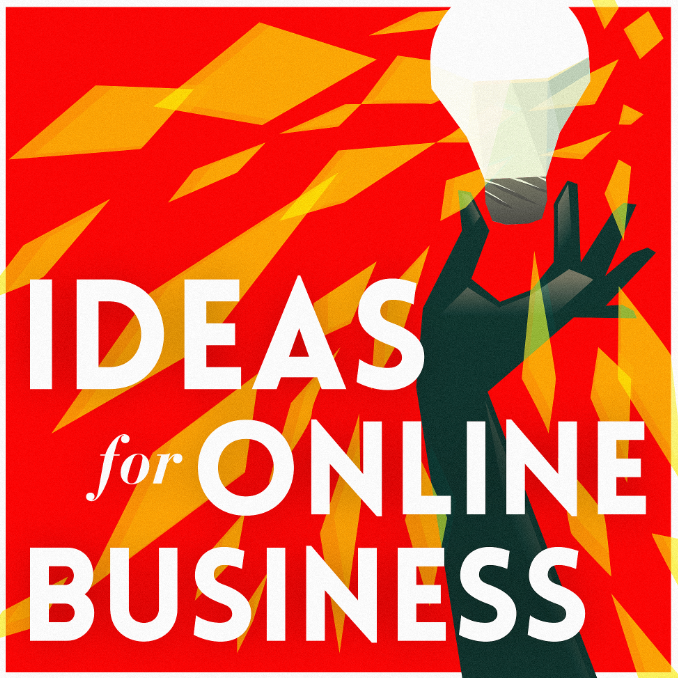 Subscribe to the Ideas for Online Business Podcast free in iTunes, and please leave an iTunes review. You can e-mail Rob with your questions at Rob@ZenOfBiz.com, or you can leave us a voicemail at (520) 955-6286. Welcome to The Ideas for Online Business Podcast! Thank you for tuning in. Today in Episode 78 your host Rob Booker shares his thoughts on focus. It is so easy for entrepreneurs to chase after things that glitter because it is in our nature. Rob cautions us to stay focused on what we know we can do well. Thanks for listening! Good morning Ideas for Online Business Podcast listeners! Today in Episode 77 your host Rob Booker opens up about affirmations. This is something that you should seriously consider if you are seeking success and fulfillment in your life. How do affirmations work? You decide what you want to focus on. It’s really hard to argue with this very grounded angle on the law of attraction. So, how does this apply to starting a business? Thanks for listening! Hello there Ideas for Online Business Podcast listeners! Today in Episode 76 your host, Rob Booker talks about just the right angle for non-retail online businesses to take this time of year. When is the right time for you to feature your business? Is Christmas the time? Rob has a better idea more suited to your market. Think about how your services could fit into New Year’s resolutions or even tax refund season. Rob reads a great listener question from Brad who wants advice on how to draft the perfect message to send out to his e-mail list. So, how do you begin? Listen in today! You’ll love today’s show! Good morning Ideas for Online Business Podcast listeners! Your host, Rob Booker is here with Episode 75 today. When our sales aren’t as great as we would want them to be we often look at our website and wonder what the problem may be. Chances are, your un-snazzy website is not the problem. Rob shares exactly what you need to do to create the force behind your business – how to make your business a thing – how to become a heretic. Build a tribe of people around your vision.. You’ll love today’s episode! Ep. 74 – What’s the Best Thing to Sell Online? Hello there dear listeners of the Ideas for Online Business Podcast! Today on Episode 74 your host, Rob Booker is back with Wes Walton to answer a great listener question. If you had to choose between a product or program or a subscription, what is the best thing to sell online? With a quick profit margin analysis, the answer is clear. Listen in to find out how to plan for success and pick the right type of business for you! Ep. 73 – How Do You Find a Business Idea That Will Sell? Good morning Ideas for Online Business Podcast listeners! Today on Episode 73 your host, Rob Booker has another huge business idea brainstorm! Thank you Tyson and Jed for the questions! Rob has a new perspective on how to come up with a business idea that will sell. Make a list of things that frustrate you! Then, ask yourself if it can be fixed and if there is a lucrative idea there. Good luck! Good morning Ideas for Online Business Podcast listeners! Today on Episode 72 your host, Rob Booker analyzes Ronaldo’s website. Ronaldo is a listener who wants advice on how to make his agency unique from its competitors and how to make his website better. Follow along here at Marketing With Experts as Rob shares a ton of constructive and specific tips that can help Ronaldo and all the listeners! Read Blue Ocean Strategy to get ton of new ideas about how to stand out from your competitors. Ep. 70 – How do I Start Back up? Happy Wednesday Ideas for Online Business Podcast listeners! Your host, Rob Booker is back! Today on Episode 70 of the Ideas for Online Business Podcast Rob surprises a listener who texted a question about blogging by calling him on the air! Rob gives Mark, and anyone else who is trying to make money by blogging, some great advice and resources. Rob tells you exactly how to write content that people will read and that people will pay for. You’ll love today’s show! Happy Wednesday Ideas for Online Business Podcast listeners! Your host, Rob Booker is back! Today on Episode 69 of the Ideas for Online Business Podcast Rob surprises a listener who texted a question about blogging by calling him on the air! Rob gives Mark, and anyone else who is trying to make money by blogging, some great advice and resources. Rob tells you exactly how to write content that people will read and that people will pay for. You’ll love today’s show! Check out Mark’s Cooking Blog Simple Minded Cook. Rob talks about how to make money blogging. You’ll love it! Copyrights © 2015 Rob Booker. All Rights Reserved.